These oblongs of vibrant Red Coral put the fiery hue right where you want it! Wear them with confidence and let them draw the attention you deserve. A stretched-oval shape wafer of bold Red Coral, which is further enhanced by a smaller, oblong centerpiece wa... Read more. These oblongs of vibrant Red Coral put the fiery hue right where you want it! Wear them with confidence and let them draw the attention you deserve. 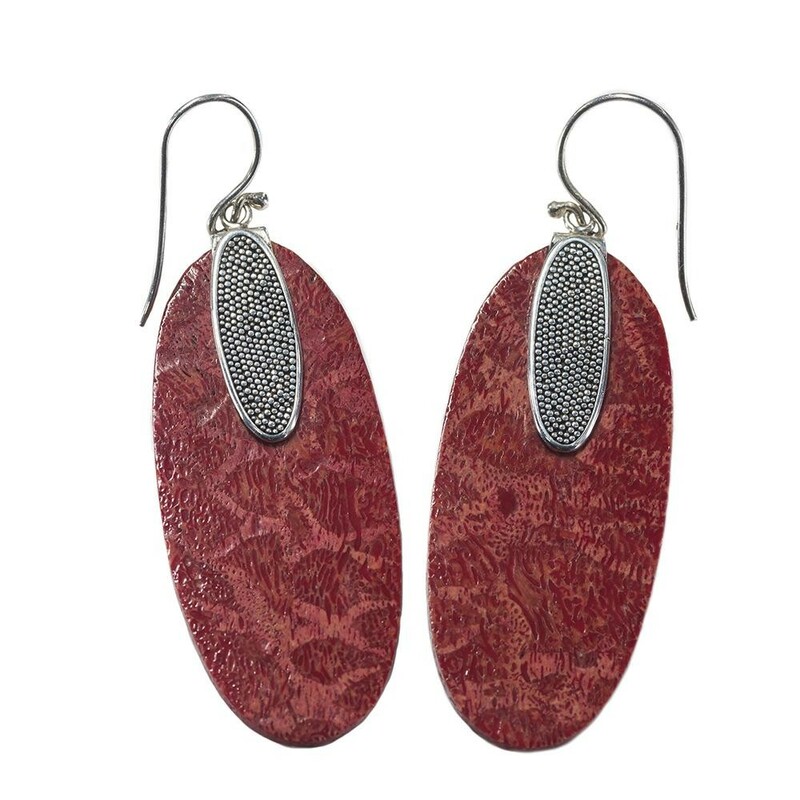 A stretched-oval shape wafer of bold Red Coral, which is further enhanced by a smaller, oblong centerpiece wafer of sterling silver stipple work that adds texture and accentuates the earring to ensure that you will be noticed. Carefully fabricated by local artisans in Bali.